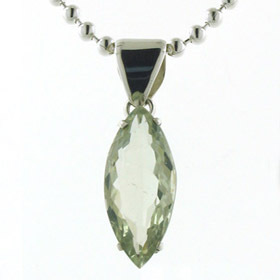 Amethyst jewellery is one of the most popular choices in gemstone jewellery and semi-precious jewellery. 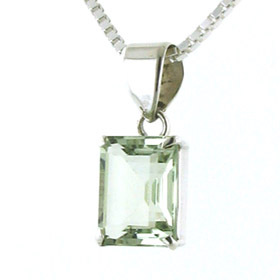 Green amethyst jewellery is less well known and less available than the traditional purple amethyst jewellery but well worth discovering! 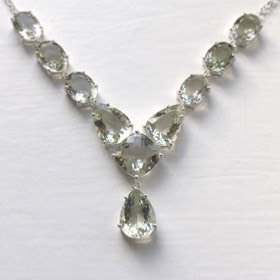 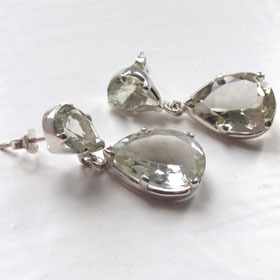 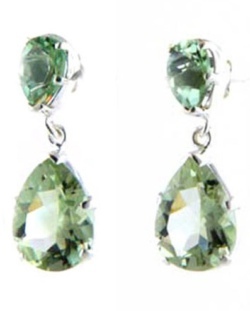 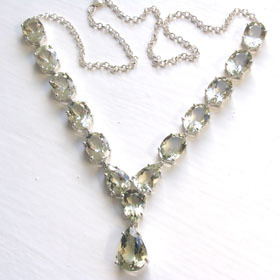 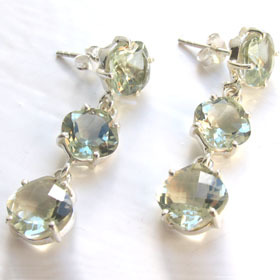 Real green amethyst jewellery (as opposed to dyed quartz jewellery) has a soft sage green colour and is usually available in calibrated faceted stones. 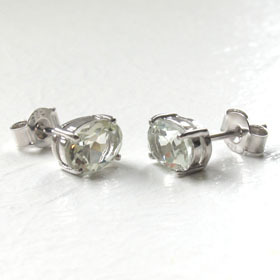 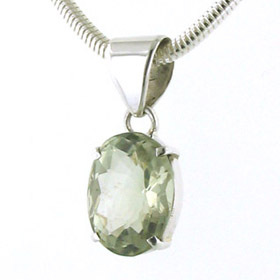 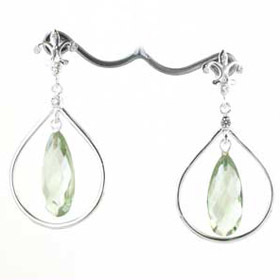 Our Green Amethyst Jewellery Features Natural Gemstones. 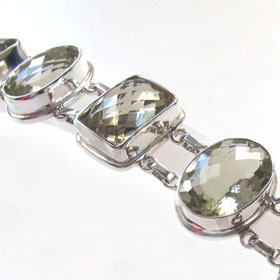 Our green amethyst gemstones have been selected for clarity, brilliance, cut and evenness of colour.